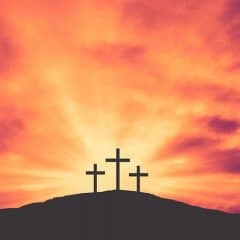 When guided by the Holy Spirit, Philip spoke to an Ethiopian man about the story of Jesus and His death and resurrection. 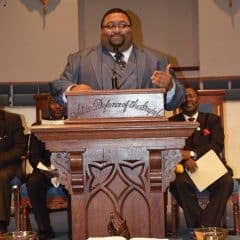 The man then believed in Jesus and was baptized. 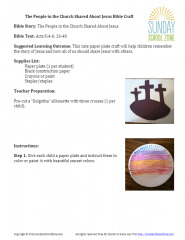 This cute paper plate craft will help children remember the story of Jesus’ death and how all of us should share Jesus with others. Note: This free craft is also available as a downloadable PDF. 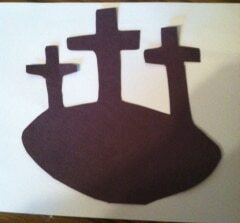 Teacher Preparation: Pre-cut a “Golgotha” silhouette with three crosses (1 per child). Step 1. 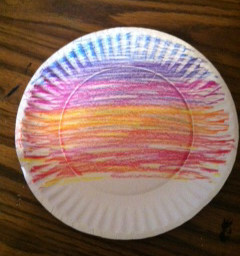 Give each child a paper plate and instruct them to color or paint it with beautiful sunset colors. Step 2. 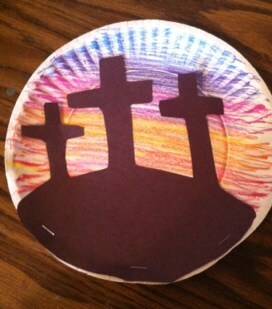 Give students a pre-cut silhouette and guide them in stapling the shape to the paper plate to create a Calvary sunset.